Athens is a world-renowned destination for tourists and attracts visitors from all over the world. 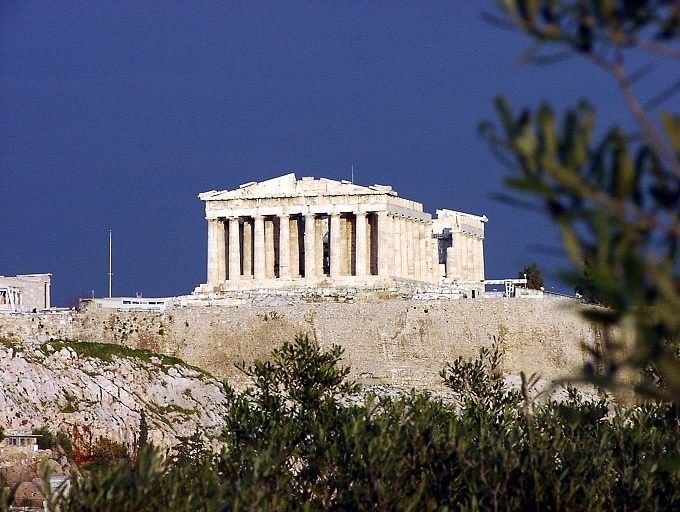 The historical monuments of Athens and its museums are the most visited sites in Greece. 1.5 million people visited the Acropolis World Heritage site in 2012 and over 5 million people visited the New Acropolis Museum in the first 3 years after its opening in 2009. The city’s historical centre was developed and renovated in preparation for the Olympic and Paralympic Games, according to the Greek Accessibility Guidelines and urban planning requirements. The International Paralympic Committee’s expectations for an accessible city were also a motivating factor for creating an accessible environment for all. Today, the legacy of the 2004 Games can be seen in the accessible pedestrian environment and public transport network of the city centre. This case study shows how the city of Athens achieved significant improvements in the accessibility of urban spaces, heritage sites and public transport for people with disabilities, within an overall plan which has re-defined the historical centre, its monuments, historical sites and streets, leading to a higher quality tourism offer. The planning process took into account the requirements of different disabled groups, strongly focusing on mobility and visually-impaired persons for movement in the public spaces. The so-called “Unification of the Archaeological Sites” by a pedestrian route was an innovative plan, creating a new, attractive accessible environment in a city centre that suffered greatly from motor traffic. This is a model of good practice that other Greek cities are now preparing to follow. The new Metro system is regarded as one of the most accessible in Europe, combining high technical standards with art and cultural exhibits at the stations. Together with the accessible trams and buses, this has contributed strongly to the success of the overall project. One of the outstanding achievements of the project, in terms of accessibility, was the installation of a lift for wheelchair users to access the Athens Acropolis – a UNESCO World Heritage Site and the symbol of Greek civilisation. This intervention has broken the boundaries of what was considered possible in adapting heritage sites, resulting in world-wide recognition that people with disabilities have right to visit and enjoy cultural heritage sites on equal terms with others. The lift solution was carefully planned and executed as a “reversible” intervention with minimal intrusion. In the beginning, only wheelchair users were allowed to use the lift but the policy has been widened to allow pushchairs and people with walking difficulties to use it, making the Acropolis truly “Accessible for All”. For Athens itself, the city’s heritage area has gained even more popularity than before as it gives better access to everyone. It has become the focal point for citizens, with new tourist offers and it is a particular attraction for disabled visitors, seniors and families. Improved access has brought other benefits, with the establishment of small enterprises and new activities, including bicycle rentals and guided walking tours. The renovated area also supports many local tavernas, cafeterias, hotels, museums and an open air cinema. The case study also draws attention to weaknesses in the strategy of marketing Athens, as the city centre is not promoted as an ‘accessible destination’. Although Athens’ historical centre can be considered accessible to a high degree, there has been no significant follow-up in terms of marketing access as a quality product for visitors. Download the Athens Accessible Heritage City Centre Case Study in PDF format, produced by ENAT and Partners for the European Commission (2015).